Tell your friends about BCB! 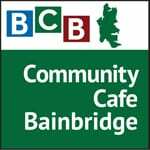 Bainbridge Community Broadcasting is a community service of BARN, the Bainbridge Artisan Resource Network. 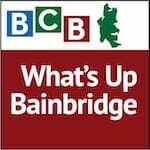 Our community podcasts give individuals and organizations on Bainbridge Island a wonderful opportunity to share their events and stories. 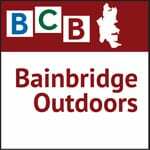 You can listen here, via our webpage, or via the BCB app on your smartphone. Or — send us your email address in the space provided at right, and we’ll send you an email each time a new podcast is published! You can also visit our new recording studio at BARN, or sign up to learn how to create podcasts and videos of your own. 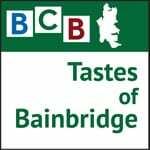 And if you’re already a fan, don’t forget to tell your friends about BCB: help us share the Voices of Bainbridge Island. Each episode brings you a 8-to-15 minute preview of an upcoming local event, described by the event organizer. Subscribe on Apple Podcasts or Google Play. 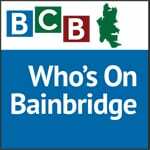 In each episode, listen in on a 15 to 25 minute personal conversation with a local islander who helps make Bainbridge Island such an interesting and engaging place to live. Subscribe on Apple Podcasts or Google Play. Each podcast interview brings you a conversation with an artist who is active in the local creative arts community. Subscribe on Apple Podcasts or Google Play. In the time it takes to share a coffee at a cafe with a friend who cares about community, we hear about issues and opportunities on the Island. Subscribe on Apple Podcasts or Google Play. In each episode of this new show, we invite you to step outside on foot, bike or boat and enjoy our island’s nature, wildlife, sights, sounds and people along the way. Subscribe on Apple Podcasts or Google Play. Listen here to learn about local foods, farming, gardening, recipes, cooking and dining in our community. Subscribe on Apple Podcasts or Google Play. 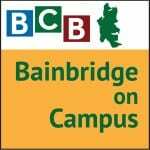 When there’s something special occurring on Bainbridge Island, there’s an opportunity to hear it in this diverse and eclectic set of BCB podcasts — whether it’s a cast doing a radio play, a panel of clergy standing up against climate change, or voices at a vigil at the Japanese-American memorial. Subscribe on Apple Podcasts or Google Play. Listen here to find out what’s going on with Island children and schools. Subscribe on Apple Podcasts or Google Play. New in 2019, Voices of Bainbridge is an opportunity for members of our community to offer up their thoughts and creativity; we can’t wait to see where this takes us! When there’s something that is worth seeing in the community, and not just hearing about, BCB will present it as a video podcast. Some video podcasts tell lively stories about the community, such as the opening of Owen’s Playground. Other videos will illustrate a “how to…” idea, perhaps showing how to make something special at a BARN artisan craft studio. Interested? We’re always looking for volunteers — with or without prior radio or podcast experience — to fill openings for interview hosts, studio techs, audio editors, and social media publishers. 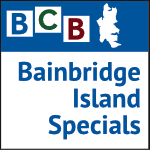 Contact us to inquire about opportunities for you to play a role in local community podcasting on Bainbridge Island! 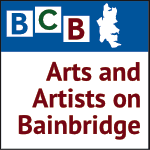 Bainbridge Community Foundation and its Island Cultural Enrichment Fund awarded grants to BCB for 2014 through 2016.